Toxic leaders don’t just appear on the scene, they develop over time- and we are the ones that create them. Yep! It’s partly our fault as leaders because we fail to properly counsel them as they move up the ladder. There you have it: “A way” to create a toxic leader. 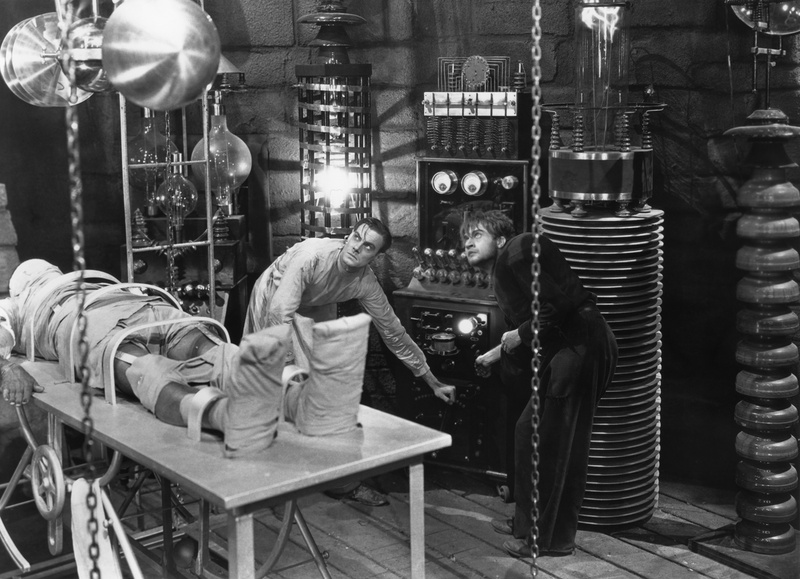 So, I think it’s important for all of us to learn how not to build our own Frankensteins. Let’s look at the career of Colonel Toxic. As a platoon leader, Second Lieutenant Toxic was the star performer. He was physically fit, tactically sound, and his platoon was the top performing platoon in the battalion during his assignment. He pushed his Soldiers to extremes and demanded unwavering obedience. When he received his evaluation report, he was commended for his hard work with a superior rating. He was the number one platoon leader! Overtime continued success brought with it arrogance, insensitivity, and an overbearing leadership style. This rising star continued on this path for 23 years, until his brigade command. And that’s when it all fell apart. His command climate surveys became abysmal. His battalion commanders and staff officers were fearful of open communication, and everyone walked on egg shells when he was in the area. His organization was compliant, but not effective. He had obedience, but not buy-in. And so it goes, another promising military leader falls off the pyramid. Is there anything we can do as leaders to keep the next Frankenstein from rising off the table? Counsel, Counsel, Counsel: Counseling is our greatest weapon against creating monsters. Sitting down once a month or quarter with a subordinate to discuss performance (success and failure) is instrumental in their development. Just about everyone desires honest feedback, but rarely is it given. Identify and highlight character flaws: Many of us overlook character flaws (insensitivity, overbearing, etc.) when successful outcomes are achieved. While this might not play a critical role in organizational performance at lower levels, this could severely impact performance at higher levels. Our star performer is still our subordinate and a fellow member of our profession, so that means it’s our job to help them become aware of developing character flaws. It’s nothing personal-it’s professional. Scrutinize success just as much as failure: In the mind of your subordinate, their iron fist approach to leadership is what earned them a stellar performance evaluation. Morgan McCall Jr. says “seemingly stellar track records don’t always reveal who (or what) actually played the major role in a successful outcome, nor do they always show how results were achieved.” By helping them closely examine the causes of success, a leader may help a subordinate understand it wasn’t necessarily the authoritarian approach that made the unit successful, but it was several factors working in combination together, and maybe they performed well not because of the approach, but in spite of it. There is no training regimen that will reprogram a toxic leader after 20 years of service. So let’s do our job as leaders and take the time to deliberately develop our subordinates. I’d re-write that final sentence to state that the focus of leaders upon themselves is what has systematically failed the future of our military services. However, as it has been said many times in many places already, the narcissism of ‘toxic leaders’ places their self-interest above that of their subordinates, but most importantly their units and the success of military purpose of those units. The guy, ahead of the guy, ahead of the guy must recognize his need for counsel, counsel, counsel as well. Nothing more damaging long term than an unstoppable monster. Good reminder, thanks. What’s missing from the solutions recipe is the *career incentive* the military designs for the next batch of Lt. High-Flyer so that s/he doesn’t become Col. Toxic. Without changing the criteria that s/he views an neccessary for promotion (or other career incentives like favorable billeting, special pays, graduate education), there is almost no reason Lt. High-Flyer would take the hard path of painful self-development over the easy path of becoming a toxic leader. My salient point is this: Becoming a toxic leader is simply easier. Until we build an incentive to get over that bar, the careerism of the present won’t change. Only if Lt. High-Flyer can be convinced that his future success is tied to learning the right way to lead and that toxic leadership would ensure future failure, then we’d develop fewer lazy, toxic leaders. As you note, the issue is, how? Great post! I think what is missing is a definition of what a leader is and a definition of what a toxic leader is. This will make it easier for your readers to identify and reflect on what a toxic leader is. I provided some resources below. Since I am an Army officer I have provided the Army definition an Army leader. greater good of the organization. I think this a great look at what we can do to avoid toxic leaders if we are not toxic leaders. But, how do we stop toxic leaders when we have toxic leaders? One thing to think about though is to imagine toxic leadership as a viral gene something that a leader can give to his subordinates to change their genetic code (their leadership style). This gene has two affects. For some, they transform into toxic leaders. For others, it destroys their motivation. Some are able to fight back and retrieve their motivation, some can fight back and remain a true Army leader, but most are infected with the newly encoded DNA and it is not easily reversible. You don’t know your infected either since it changes you DNA without symptoms. Toxic leaders spread this gene because leaders are role models. Most leaders tend to counsel subordinates to follow their career path and impressionable young leaders follow their example. If I have a high performing company commander as a lieutenant, I’m emulating him or if their is a number one LT I want his success. If my battalion commander is a certain way and it got him to command, I am going to emulate him if that is my desire and on and on. So, I am now infected with the mutating virus that has made me a toxic leader: drive my subordinates into the ground, get results and tolerate no dissent. So, these toxic leaders breed inadvertently a new generation of toxic leaders. So, what can the Army do to fix this when toxic leaders are generally successful leaders? One thing is a reevaluation of what success means as a leaders. Rich’s comment speaks to this. A commander should be a Level 5 Leader (see Good to Great by Jim Collins). They are humble, driven by the desire to a have a successful unit and focused on their organizations future. They do not worry about credit, they want their organization to thrive even after they are gone. We don’t evaluate on that, we evaluate on what you did so you better get it all done now. That forces a completely results driven mentality. Think about this? Commander A has the best performing company across all measurable aspects: APFT, Rifle Qual, T&EOs, etc. His live fires look stellar and he drills his guys ’til the cows come home. However, he is incredibly demanding and offers little free time to soldiers and he is by all means a knuckledragger, he could care less about the scholarly aspect of leaders. Commander B has decent scores on things but not overwhelming, however, he empowers his subordinates and lets them make mistakes and sees training as a learning opportunity thus his T&EOs and LFXs aren’t so smooth. He cares more about combat marksmanship that qual so he accepts lower qual scores to move on and he cares more about combat fitness than the APFT. Who is your number one commander? If you say A, you are contributing to the problem. This brings up two points. First, the Army needs to seriously consider how we evaluate through no statistical/data based means. We have these great things like CTCs but we grade/evaluate with rubrics. This prevents out of the box thinking and innovation. Want a green across the board scorecard? Do this. Want to accomplish your mission by any other means? Take your red or amber. Second, the Army needs to develop of system where the sole evaluation rests in the hands of a boss and his boss (the guy ahead of the guy and the guy ahead of the guy ahead of the guy as I think someone alluded to). If I’m only accountable to my two bosses, I have no need to be loyal or caring for my men or to play well with my peers. If I can impress my bosses through what ever means they will allow, I’m going place. So, our current system allows toxic leaders. This article makes great points that I’ll take with me as I progress. I think we all need to be aware of how we make toxic leaders and what we can do to prevent it. Great post, and I concur whole-heartedly with all your points. One of the big issues that I see with why we don’t do better at preventing toxic leaders is because it takes good (non-toxic) leaders to counsel, detect flaws, scrutinize, and teach reflection. Toxic leaders breed more toxic leaders because they precisely don’t do the things you’ve outlined. Darrell alludes to this in his comments too, in that leaders inevitably rate performance and counsel performance based off the things that are important to them. And too often the characteristics and attributes that are important to senior leaders are the exact characteristics and attributes that made them successful. If an overbearing and micro-managing style, focus on measureables (APFT stats, etc. ), or even ‘left-shoulder pedigree’ is what made those senior leaders successful and recieve top evaluations, then naturally that is what they are going to measure their subordinate leaders against. Too often have I seen the Platoon Leader that was rated #1 by their Company Commander simply be the one who best models their behaviour like their CDR. Same for Company Commander’s who turn into ‘spot-light Rangers’ in front of their Battalion Commanders because they know what their BC values in leader behaviours/styles. Even in my own career, my best OERs have come from the leaders who valued the same strengths and attibutes I do, whereas those same strengths and attributes resulted in only average evaluations from other leaders who did not value them. My conclusion is that it takes good leaders to weed out or prevent toxic leaders. Toxic leaders only breed more toxic leaders.